They're back! This original Air Jordan I colorway will be hitting store shelves for the first time since 1994. 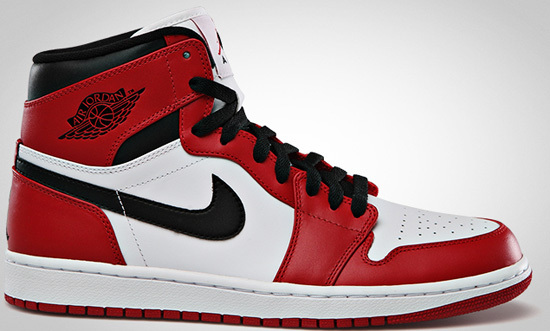 Yes, we have seen this colorway of the Air Jordan I release a few times now but, never in true-to-the-OG form. 2003 brought them back but as a mid cut and featuring a patent leather upper. 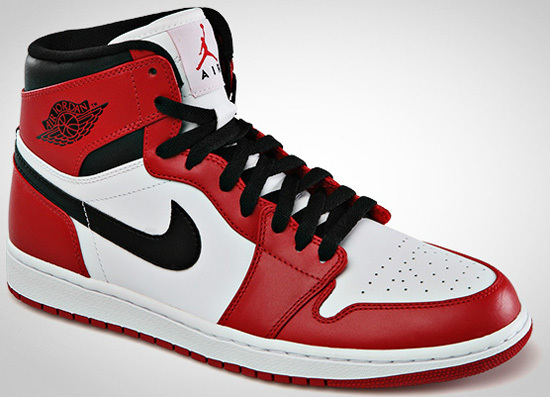 Then in 2010, in the form of an Air Jordan 1 Retro KO High sporting a "vintage" pre-yellowed look. Not since 1994, nineteen years ago have we seen this original Air Jordan I colorway in its original form. Yes, these do not feature "Nike Air" on them but other than that they are on point. One of the most anticipated releases of 2013 and it's only the first weekend! These are set to hit select Jordan Brand accounts worldwide on Saturday, January 5th, as a general release retailing for $110 in men's sizes. They will also come in an OG-style box but, not the "Nike Air" version the Air Jordan 1 Retro High OG will come packaged in. However since these are a general release, they will be available in full family sizing all the way down to infants so everyone big or small can get a pair. 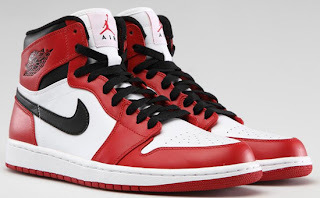 Enjoy this official look at the returning "Chicago" Air Jordan 1 Retro High below. Make sure you have checked in with your local spots to see if they will be receiving these as they are sure to sell out fast. If you're looking for a pair now, click here to grab them on eBay.